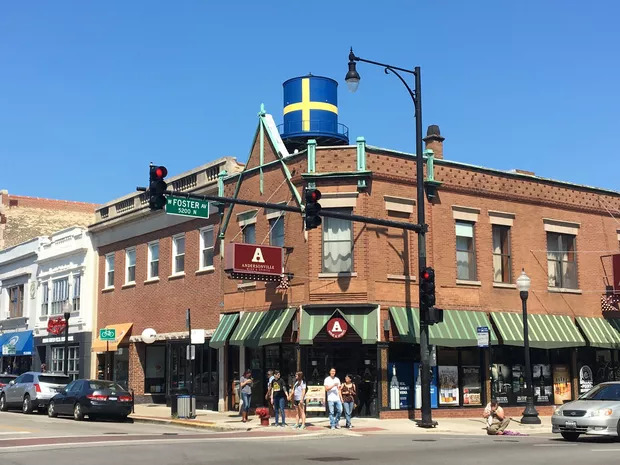 Our outreach in Andersonville was a new experience for our team since we were able to work with a town that already promotes energy efficiency within its businesses. We were lucky enough to meet with David Oakes, the Business Service Manager of Andersonville, at The Coffee Studio and discuss what we do and learn more about their efforts for efficiency. While sipping some delicious coffee, we were able to learn a lot about the values of the town and the active and involved community (by the end of the talk we were already planning to move there. Anyone looking for some roommates?). After learning about the area, we decided to grab some breakfast at m. henry and oh my word this place is a dream. The area is cozy and spacious, the staff is kind and quick, and the food is not only aesthetically beautiful but purely delicious. 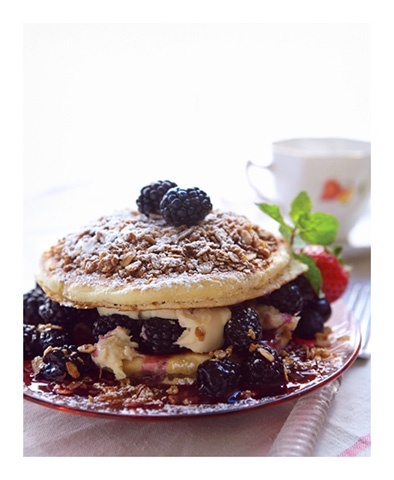 To prove that point simply feast your eyes on what their blackberry blisscakes look like below. Truly a work of art. After our morning coffee and breakfast, we got to work on bringing energy efficiency to Andersonville. We were able to go into a lot of really unique businesses, such as The Brown Elephant, George's Ice Cream and Sweets, and Cheetah Gym. We were able to talk to a lot of business owners about how the combination of the ComEd Energy Efficiency Program and the Andersonville grant could help them tremendously with the transition to energy efficient options for their business. We were so happy that we were able to inform hard working business people of ways for them to save money and invest their money into business growth, not their electricity bill. Do you want to see us come to your neighborhood in Cook County to increase the energy efficiency of your local businesses? Let us know!